KATHMANDU, Dec 1: Today is the 18th day of Dr. KC’s hunger strike, longer than any of the last nine. He has now sat for 120 days in hunger strike in the last four years in a relentless crusade to end corruption and injustices in Nepal’s medical education. Perhaps no one commands public respect and admiration as Dr. KC’s does in Nepal today. We owe him our gratitude for being a singular voice of reason and moral authority in a place where the moral compass of leaders swings like a pendulum. He is a rare radar in our rather rudderless society where the power of “civil society” has eroded over the years and the space for informed debate on vital issues is rapidly shrinking. There are those who question the very motive of his repeated hunger strikes, which mostly coincide with the medical schools admissions season. And there are others who think he is being manipulated to fulfil the aspirations of certain individuals and organizations. Some say his repeated strikes tire out the people who stand firmly behind him. These reservations make sense, but Dr. Martin Luther King Jr., the late American civil rights leader, once said, “The arc of the moral universe is long, but it bends toward justice.” Any struggle against injustice tends to be long and hard, and those in power and especially in extractive systems like ours are not going to give up their privileges easily. 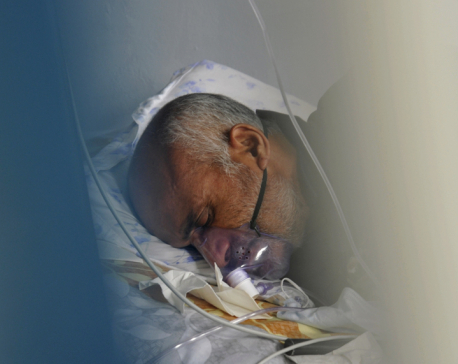 Dr. KC is struggling for his life inside a small room at the Teaching Hospital at Maharajgunj. Starting today, doctors have threatened to shut down health services across Nepal. The Teaching Hospital has been running only emergency services since the past few days. However, the Dahal government is too busy shuttling Ramdev Baba from one city to another, and mired in the mathematics of constitutional amendment. It seems Dr. KC is merely a footnote in PM Dahal’s grand ambition to amend the constitution so that he can have a “heroic” exit from Baluwatar. Countless students, activists and conscious citizens of this country see Dr. KC as a beacon of light and hope in a hopeless society. 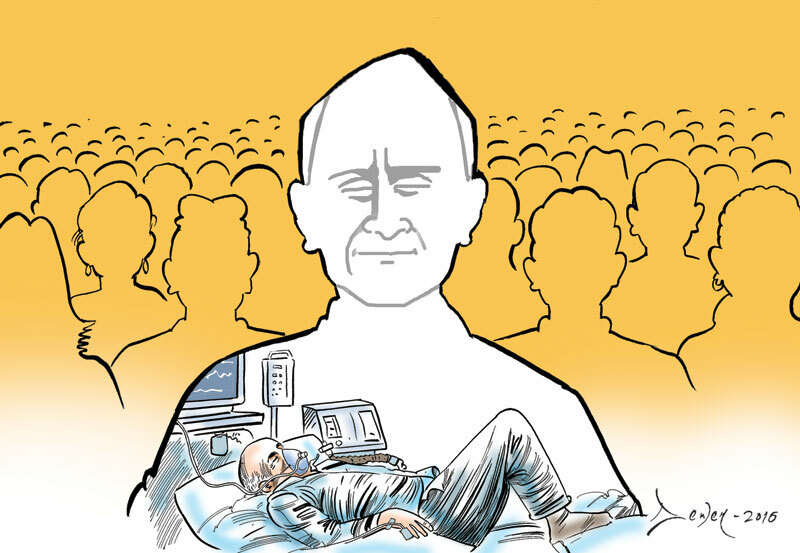 We, as a country, cannot afford to let Dr. KC die. That will cast a long and dark shadow over our moral and spiritual fight against the corruption, kleptocracy and injustices that we see all around us. We will lose a sane voice that was raised when the whole country went into deep sleep. 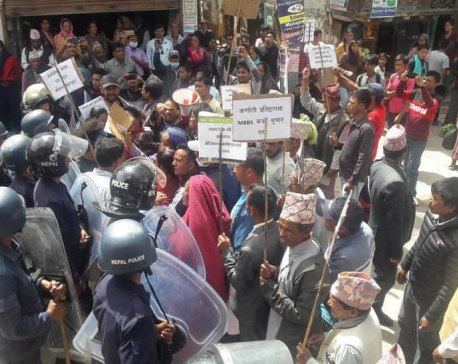 He called out loudest for the impeachment of now suspended CIAA chief Lokman Singh Karki. We do not have to agree on everything with Dr. KC. We can have debates on some of the issues he has been raising, but his demands are just and we have to stand behind them. His struggle resulted in the capping of fees for MBBS education and the implementation of the Mathema Commission report. We can only continue to question and argue if Dr. K.C.lives on to fight even bigger and tougher battles. Forces that are active to spawn a culture of silence in our society will have a field day if he loses this battle. Moreover, it will also be a moral failure on the part of conscientious citizens like us if we do not clamour enough to draw the attention of the state for saving his life. It will be a tragedy of unimaginable consequences if we cannot save this courageous, honest and dedicated crusader of our times.